Reading text these days is more on digital screens than printed paper. In the publishing business, even as we contemplate the outcome of the elusive tug of war between ebooks and printed books, the world is reading, buying, watching, communicating more on digital & mobile than ever before. Are your books & titles still invisible to billions of mobile users? We are experiencing a growing number of queries for mobile apps from publishers lately. And so, it surely called for a dedicated blog on how mobile apps can unlock the business potential for publishers in a digital-first world. Mobile is no more a trend; it’s a business reality for publishers. According to the latest Pew Research report, more than 8-in-10 U.S. adult now get news on a mobile device (85%), compared with 72% just a year ago. This a working evidence of the fast digital shift in reading habits from the traditional print to mobile screens. The app economy is the next big business accelerator for publishers. Pegged at $101 billion by 2020 according to the popular App Annie report, the future of customer engagement is on a mobile app. Don’t be a bystander to the platform shift. Blend mobile apps in your business strategy and take your brand into the hands of millions of digital customers browsing and buying on mobile screens. Smartphone apps have become the primary access vehicle to the Internet, representing half of total digital media time spent. According to Com-score report, there is a 111% increase in the time devoted to apps in the US. A mobile app for publishers thus provides a digital address to host books, distribute, and sell them online in a global eMarketplace. Upgrade your brand and book experience, from hardcovers in brick & mortar bookstores, to stunning pixel-perfect ebooks on mobile screens. Meet the next walk-in customer on your brand-customized mobile app designed to give your readers a personalized journey through your products, books, authors, and titles. Queries came from many, for I have eBooks but want to sell them online; can you design a mobile app to host and sell books securely for my B2B and B2C customers etc. Many publishers have been selling on third party websites since the arrival of Amazon and similar eCommerce platforms. It seems publishers want to go solo with their brand on eCommerce platforms now. With a mobile app, publishers can sell your popular titles/authors online on your mobile app custom designed to meet your branding & marketing needs. Billions of smartphone users across the world become your potential customers/distributors with a mobile app customized to the needs of publishers. Why be limited in your options of third-party eReaders, launch your brand-customized eReader with your logo, colors, designs, and display. With the feature of online/offline reading on your eReader, you can free your book-buyers from the limitation of Internet and WiFi access when reading ebooks. They can purchase, download and read their favorite books and authors on your eReader anytime anywhere any device. Agility has become essential in publishing as revenues shrink and margins become low. How to do more with less is the mantra. 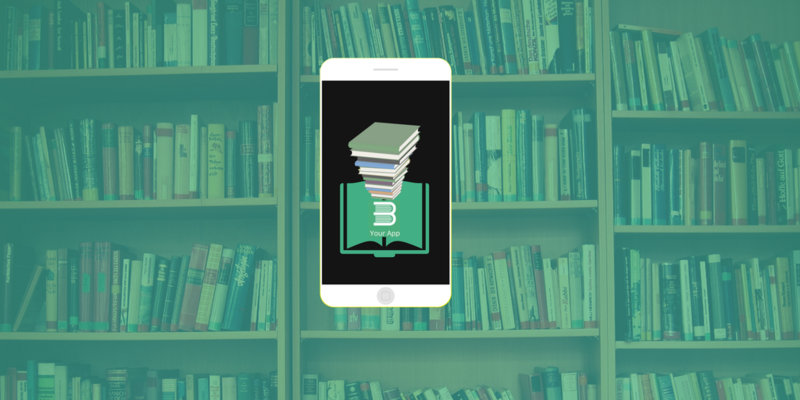 A mobile app comes with an in-built eBookStore feature can help you stack all your books, categorize them to genres, tag authors, flash bestsellers and guidebook buyers to find the perfect match. Browse, select, read sample pages, like it then purchases – buyer journey done in few minutes on an eBookStore with no staff overheads, zero infrastructure costs, and massive marketing budgets. Get agile go digital today. Make your books available in apps and sell across stores in any part of the world online in few clicks. Are brick and mortar bookstores the only way to reach them and generate more customers – surely not. A mobile app customized for publisher opens doors for thousands of book readers globally to explore your books and titles in few clicks. Think your mobile app as your new digital address for brand & customer outreach to sell in any part of the world. Plug-in a payment gateway to generate sales by converting browsers to buyers on your app. Talk to us if thinking to launch your mobile app, host book titles, authors and source additional revenue online. We will tell you how leading publishers worldwide have got it right with a blend of print, online and mobile platforms in their production workflow. Click here for a free demo and one-on-one meeting with our expert right away.